I’ve been preaching a lot about inclusiveness lately, and that applies to how Sean is doing Lanesplitter too. He’s not a Harley or a cruiser guy, so he asked people who are to explain why they love what they ride. The fact is that people ride for a range of different reasons. Your view on what’s important about riding is just narrow. I’m a Sportster owner. 1200 custom. Is it the fastest bike in it’s class? No. Is it lightweight and nimble for it’s size? No. Can it stop from 60 to 0 in 2 seconds? No. Knowing that Harley cares so much about the tiniest detail in their aesthetic shows a great deal of care goes into the whole production process. And, I think it does a great deal for the finished product. Anecdotally, I’ve hit 20k miles on my Sportster, and not a single problem. Ironically, I despise Apple as a company. I can’t understand why anyone would pay twice the amount for what is sometimes half the hardware of competing Windows machines. But, when I focus on my own bias for Harley, I understand. You can tell from the craftsmanship that theycare about the product, and they’re just as obsessed as you are with getting everything right. 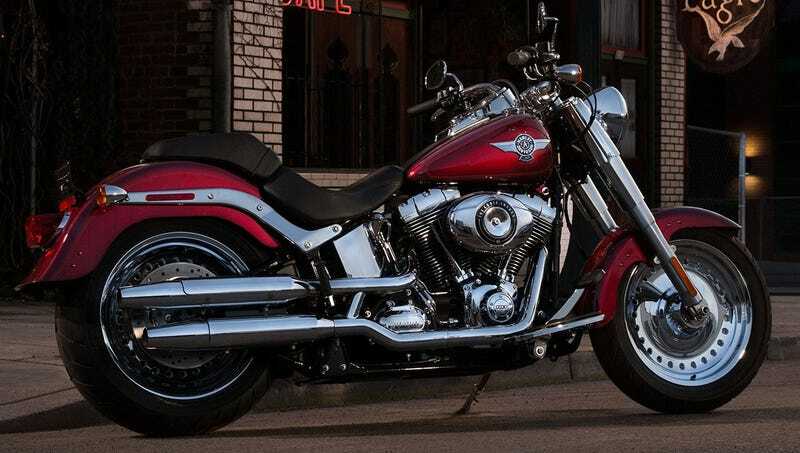 It doesn’t have to do everything so long as it does the things it sets out to do exceptionally well.Harley is an aesthetic lifestyle brand first, and a “Motor Company” second. Same with Apple and their devices. I look at BMW motorcylces and I have zero appreciation for them. They’re a good example of bikes that are 100% utilitarian. They’ve put all thought into function, but virtually none into form. That’s not my style. But plenty of people dig it. Great answer. One of many great answers. At the end of the day, it just comes down to passion for all of us, doesn’t it? Congrats on your COTD win, lollercoaster. Don’t ever let anyone take the road from you.